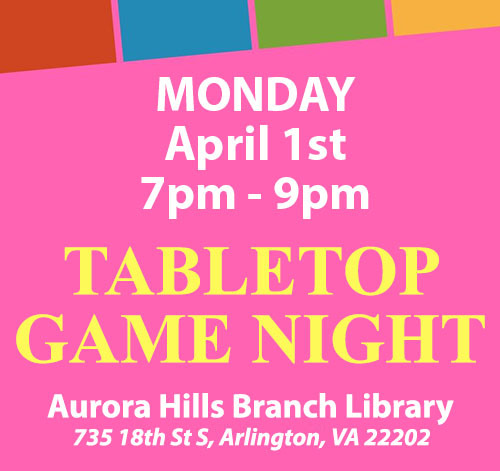 Join us this Monday, April 1st, from 7pm to 9pm at the Aurora Hills Branch Library community room for Board Game Night! The event is free and open to the public. Adults ages 18+ only. Games provided.